Vocal scores have had a myriad of different incarnations as the art of musical notation has developed since music first began to be transcribed. 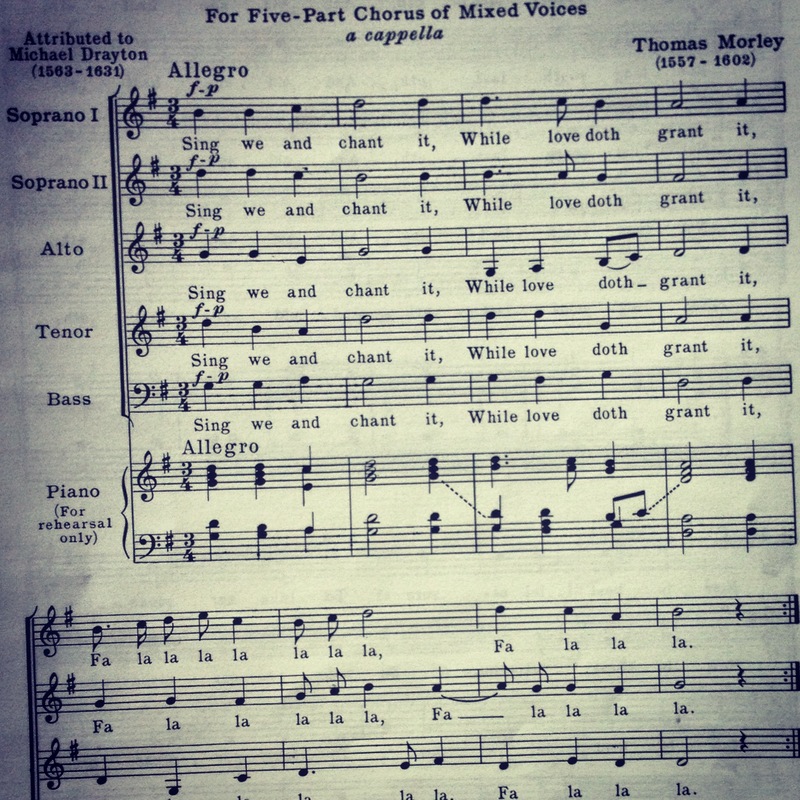 There are different types of vocal scores from all regions of the world, with many varied notation systems. They are all fascinating, and many of them are aesthetically stunning. This first vocal score is an example of one of the earliest Western forms of musical notation. 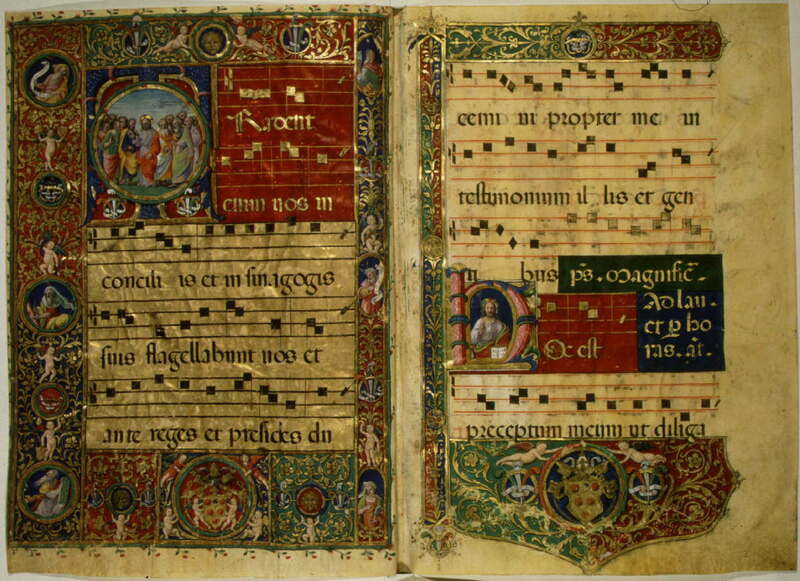 It was used primarily in monasteries to aid monks in remembering the different forms of Gregorian chant. The symbols used in this type of chant are referred to as neumes. The earliest form of this type of notation denoted the form of music, and the contour of the line, but was vague about pitch. To solve this problem, the staff was introduced to this notation, providing context so that the intended pitch was clearly marked. This type of notation is the one most commonly used in modern music, and was standardized during the Classical Period (~ 1730-1830). Like the neumatic notation, modern notation includes a musical staff, and notes ares placed on that staff to denote pitch. The notes are given different duration values, and key signature, time signature, tempo, and dynamics are all clearly marked. This type of musical notation is so complex, learning to interpret it is often considered to be like learning an entirely different language. The piece in the image above is called Snowforms, written by Canadian composer R. Murray Schafer. His inspiration for the piece was the many kinds of snow he experienced while living in Canada. 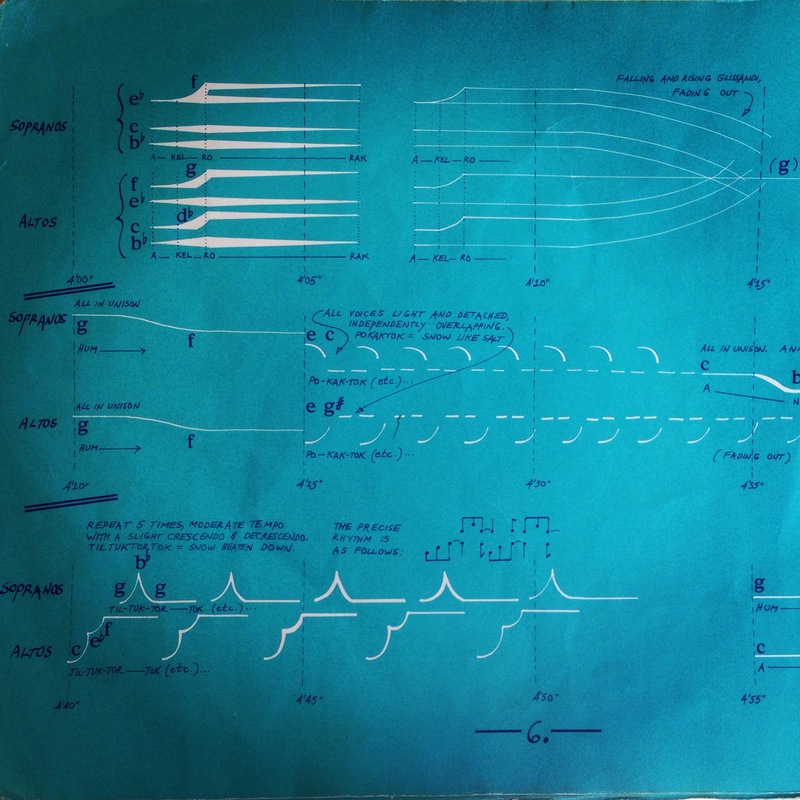 Schafer’s use of graphic notation aids in the realization of this piece as a soundscape; an auditory experience, intended to immerse the listener into the landscape of sound. The score denotes time, although the exact rhythm is open to interpretation, and the notes to be sung are quite explicitly stated. This type of score is very useful for the many nuances of the human voice. You can listen to the Calgary Children’s Choir perform Snowforms here. Tell us which score you think is the most interesting in the comments below!